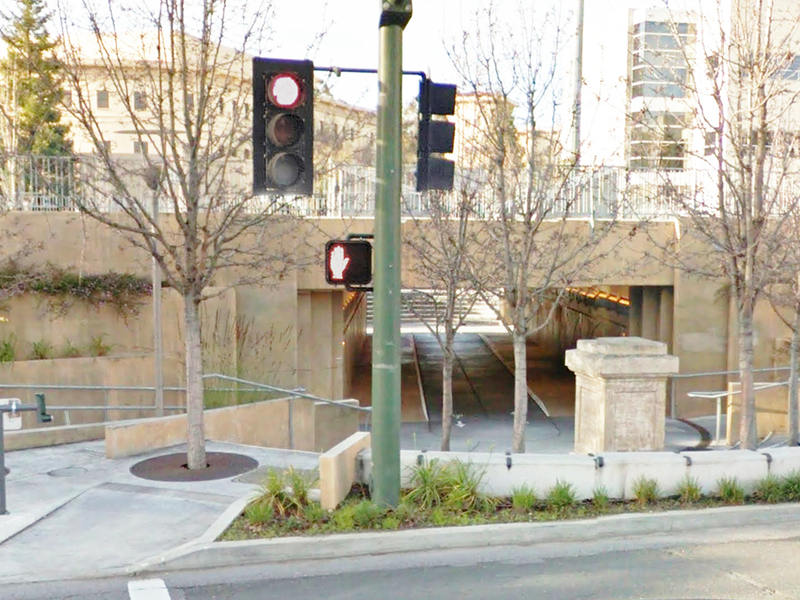 The design solution for the crossing of Caltrain tracks at Homer Avenue in Palo Alto, a tunnel, is distinguished by a skewed alignment such that one entry portal is centered on the Homer Avenue axis, while the other relates to a landing circle that was designed for an adjacent medical foundation campus with an underpass in mind. It is also distinguished by twin two-way ramps on each side of the tunnel. 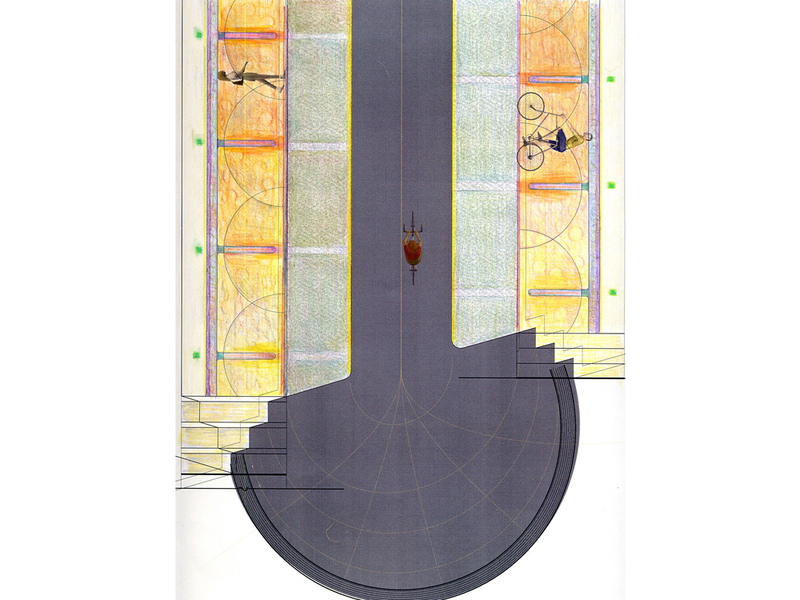 The formal design is based on a functional motif of radial lines diverging from each tunnel portal to serve multiple transportation routes. Landscape and paving treatments reinforce this geometric motif. 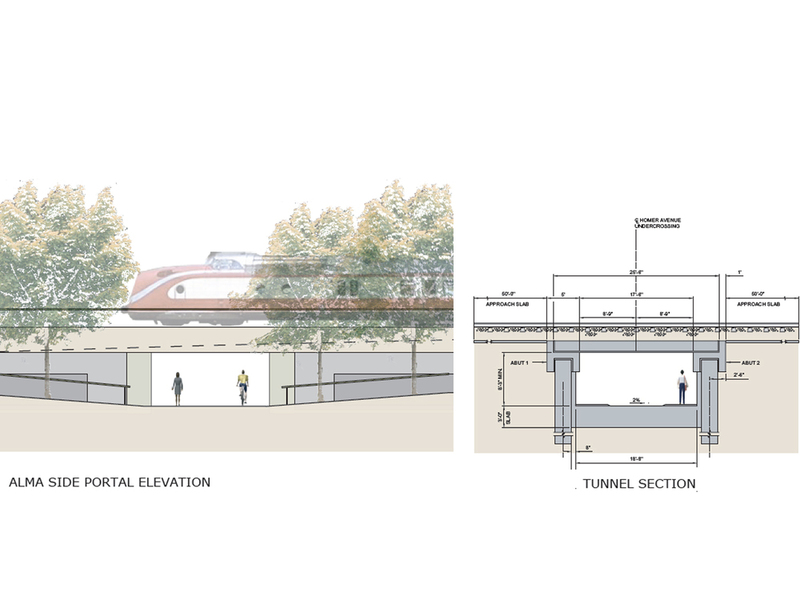 The portal façades are articulated with radial landscape retaining walls that step down away from the main track retaining walls, visually framing the opening and reducing the scale of the vertical surfaces adjacent to ramps to soften the experience for ramp users. The east side of the crossing has a dense band of existing mature tree growth along Alma Street. Custom tree grates allow for tree replanting in a way such that users and trees can inhabit the same space. The informal tree planting layout contrasts with the formal geometry of the hardscape, and pedestrians can choose alternate routes through this “urban plaza forest”.